Chinyere Okorocha is the immediate past chairperson of the IP Committee of the Section on Business Law of the Nigerian Bar Association and possesses over 25 years’ practical IP experience. She is internationally recognised as an authority in this area of the law. In recent years, her practice interests have extended to foreign direct investment, particularly in the pharmaceutical and healthcare industry. At present, Ms Okorocha advises numerous blue-chip clients on all aspects of intellectual property, as well as related issues, and is personally responsible for the portfolio management of a number of internationally renowned corporations. She also advises government agencies on IP-related issues, particularly law reform. Ms Okorocha is a member of various international IP organisations and participates actively in their annual programmes. These include the Asian Patent Attorneys Association Japan, the International Federation of Intellectual Property Attorneys, where she is one of only three Nigerians granted individual membership, and the International Trademark Association, where she has served on various committees over the years. Ms Okorocha was admitted into the Council of the Nigerian Bar Association, Section on Business Law in August 2016. 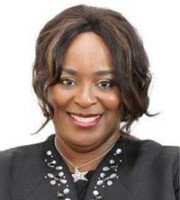 She is a patron of the Law Society, University of Lagos, a member of the Stakeholders Committee of the IP Law Association of Nigeria and a member of the Dispute Resolution Panel of the Nigerian Copyright Commission. Well respected by her peers, Ms Okorocha was nominated as one of Nigeria’s 50 most influential women in the legal profession (Businessday newspaper) and has featured in various legal guides, including Trademark Law Practitioners Expert Guides (2012-2016). She was listed as an IP Star in Managing Intellectual Property’s guide to leading IP lawyers (2014-2016), and as one of the world’s leading trademark professionals in the WTR 1000 2016. As an ardent speaker, Ms Okorocha has presented various papers during seminars in this area of the law both locally and internationally.